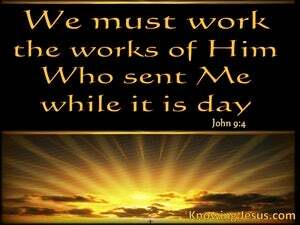 Christ only had a small window of opportunity in His earthly walk, to work the works of the Father Who sent Him. Christ had come into the world to be the light of the world and to be the One Whose death, burial and resurrection would reconcile the world back to Himself - so that all who believe in Him could be presented faultless and blameless, before Him. 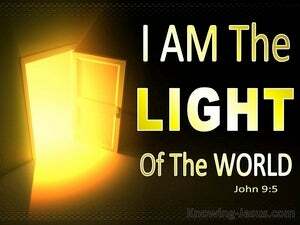 What a wonderful testimony we have from this man that was blind: one thing I know, once I was blind but now I see. This man offers a clear undeniable witness to the truth. 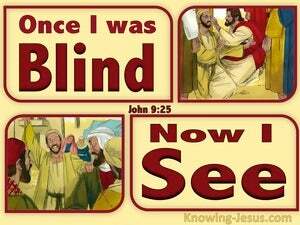 His impaired vision had been restored and he was able to clearly see the trap into which the Pharisees were about to fall..